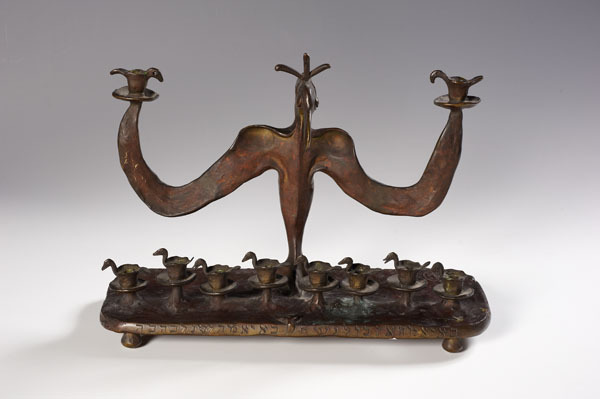 David Palombo was born in Jerusalem in 1920 and served an eight-year apprenticeship in sculpture under the renowned Israeli sculptor Zeev ben Zvi, going on to study mosaic work under Prof. Orsali in Italy, before travelling to England then returning to Jerusalem. 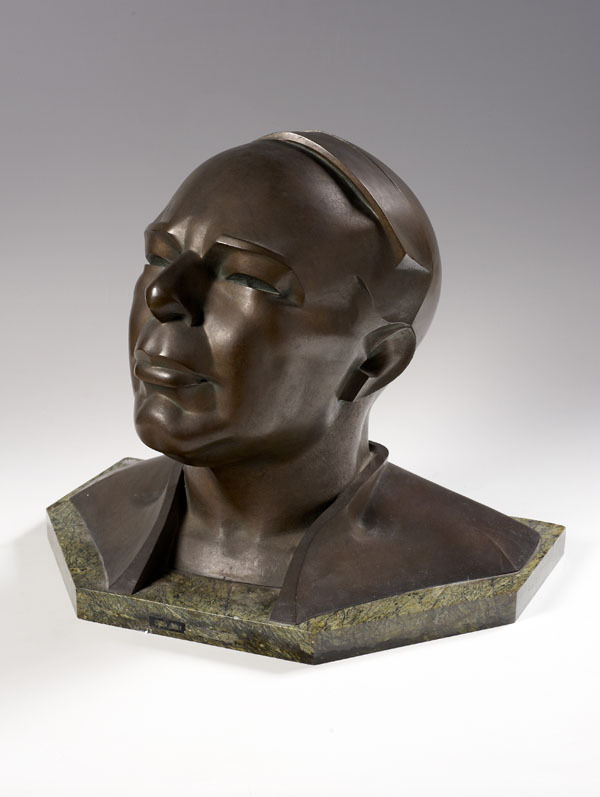 He worked in a variety of media including metal, iron, copper, mosaic and stone, creating both sculptures and murals. His major works are in Isreal including the Yiscor Door and Mosaic Wall Mural at Yad-Vashem and the gates of the New Knesset in Jerusalem. In the latter part of his career he founded an artist's co-operative, Granit, with Sarah Gabai, Shlomo Gabai and Una Palombo, and opened a workshop-studio on Mount Zion named Bet-Schiot (House of Beautiful Objects). 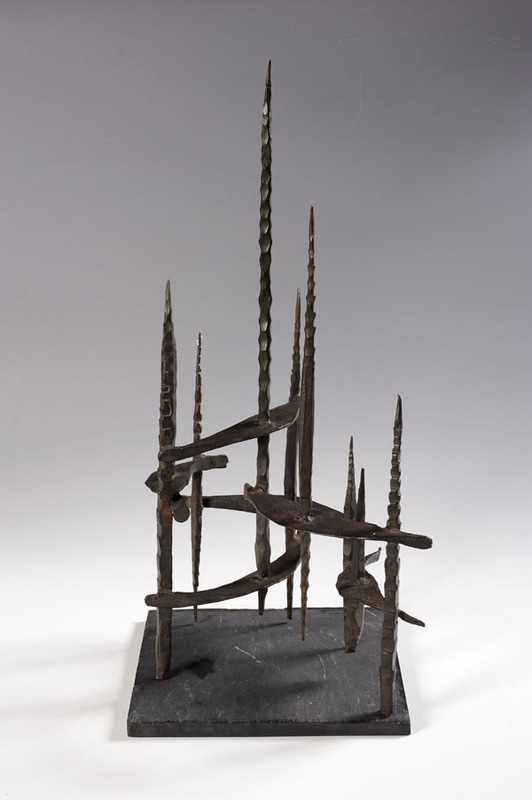 David Palombo was killed in a motorbike accident on the way to his studio in August 1966.